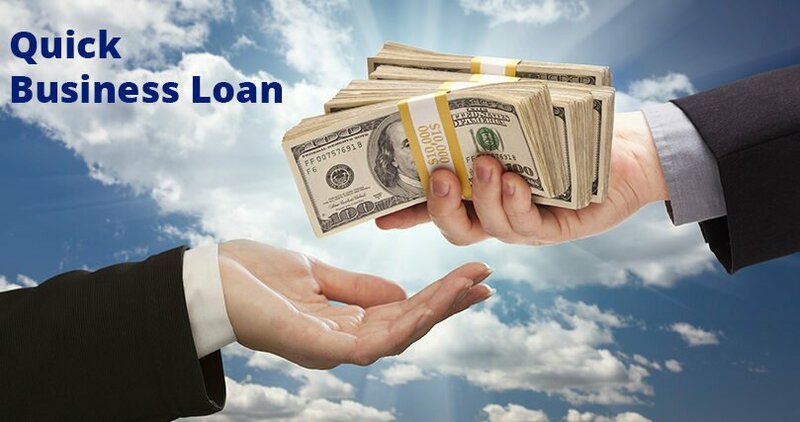 Need a business loan fast? Sometimes, unpredictable factors mean you need a quick business loan. That’s normal, and it’s a part of being in business. Here are some scenarios to watch out for; any of them could indicate that it’s time for a business loan, fast. While this might be a great problem to have, it is still a problem On the one hand, filling that order can lead to a fruitful, longterm relationship with the client, not to mention produce the short term benefit of a boost in income. On the other hand,failing to fill the order means you lose out on a huge sale and possibly say goodbye to that client forever. It’s for chances like these that many owners keep a business line of credit or a business credit card in reserve. A business line of credit or business credit card functions just like a personal credit card. You’re given a credit limit, and you pay interest on however much you spend up to that limit. That limit can be as low as a few thousand dollars, or as high as six figures. You can use that line of credit or credit card at a moment’s notice. When a problem arises, you’ve got a solution at your fingertips. If you keep a business line of credit available to you, you can use it to purchase the inventory you need to fill that customer’s oversized order, without having to seek out a last-minute option with a higher interest rate. The best part is, once you’re paying back that line of credit, you can still use it if other issues arise. It happens. Sometimes, the essential piece of equipment your company needs in order to operate is no longer viable. That can mean a catastrophic malfunction, a necessary upgrade, or total obsolescence. If your business is manufacturing, a slight problem with a single piece of equipment can cost you hours or days. If you run a restaurant specializing in a specific item, an equipment failure could mean closing the restaurant until the equipment is fixed. In cases like these, you can look for an equipment loan. Equipment loans are granted for the specific purpose of purchasing, repairing, or upgrading a piece of physical equipment. The catch is that the lender holds the equipment as collateral, ensuring them minimal risk: If you default on the loan, the lender will simply repossess the equipment. These loans can be very fast. Many lenders can get cash to you in a matter of days. So if a piece of equipment fails and you need that quick business loan to get your company back up and running, an equipment loan might be the best way to do it. Experiencing busy and slow periods is part of running a business. You don’t always have control over customers’ needs. You do, however, always need to pay youremployees. If a slow period leaves youunsure whether you can make payroll, you could consider making up the difference with a short-term business loan. Short-term business loans operate just like traditional loans; you pay back principal plus interest on a given amount. However, because the terms of the loan are very short – typically lower than two years, all the way down to a few months – the size of these loans is usually smaller than you’d see in a traditional term loan. Be aware that these loans can come with very high interest rates. Despite the risk, there are situations in which you can avoid paying too much interest. Maybe your payroll issue happened at the very end of the slow season and you know your peak season is coming soon. That means you can pay back such a loan quickly, saving money on interest, while still making sure your employees are paid for their work. You don’t have much control over nature. Or, frankly, over plumbing. You don’t know when a windstorm will knock a tree down into your store. You don’t know when a burst pipe will flood your office space. But you do know that a scenario like one of these can bring business to a standstill and create dangerous working conditions for your employees. Merchant cash advances can be a very useful tool in such cases. In a merchant cash advance, a lender pays you a certain amount of cash up front, with an agreed upon payback amount. They might offer you $50,000 with the agreement that you’ll pay back $60,000. These cash advances will then take a certain percentage of your daily, weekly, or monthly credit card transactions until the loan is repaid. What’s great about a merchant cash advance is its flexibility and speed. If you really need cash immediately, but don’t have access to a line of credit, or to a large enough line of credit, a merchant cash advance might be your best option. You can get the money you need as soon as the next day, which is perfect for catastrophic accidents like the ones above. You could always consider a personal loan for business needs if you’re comfortable taking that risk. And it is a risk. Defaulting on a personal loan for your business can lead to serious long-term consequences, including bankruptcy. But these loans are an option. If your personal credit is much better than your business credit, using a personal loan can save you thousands with a lower interest rate. And they’re typically very fast – you could get your funds within a few days.